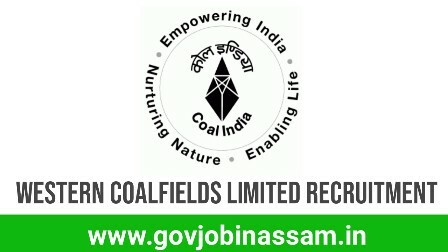 Invited application from Western Coalfields Limited Recruitment for the Mining Sirdar / Shot Firer in following total 333 Posts. Interested candidate may apply offline for the Western Coalfields Limited Recruitment vacancies. Candidates should not less then Minimum 18 years and upper age not be more than 30 years for General Candidates, 33 years for OBC(NCL) candidates & 35 years for SC/ST candidates as on 31.08.2018. Candidates who belong to the General and OBC ( Both Creamy & Non- creamy Layer ) category are required to pay a non-refundable application fee of Rs. 100/- by Demand Draft from any nationalised Bank in favour of “Western Coalfields Limited, Nagpur” payable at Nagpur. Name of the candidate and post applied for should be written on the back side of the demand draft. No need to pay application fee ST and SC candidates. Selection process will comprise of written test only. The candidates who obtain qualifying(Pass) marks will be shortlisted and empanelled on the basis of Merit. Written test shall comprise of 100 Questions (objective type , multiple choice), in which candidates are required to select their choice of answers and mark in provided OMR Answer Sheet The duration of written Examination is of Two hours. Pass marks for written test shall be 40% for general candidates, 35% for OBC( CL) and 30% for SC/ST Candidates. Intimation for written test shall be given to the eligible candidates through registered post/speed post and also displayed on company website. Interested Candidates fulfilling above norms should submit applications indicating post applied for, name, father’s name, date of birth, educational and technical qualification, caste, experience if any, present postal address along with the attested copies of testimonials and a recent four  passport size photographs, one duly pasted on application & three enclosed, so as to reach General Manager(P/IR), Western Coalfields Limited, Coal Estate, Civil Lines, Nagpur-440001 latest by 27.09.2018. Over the application and envelope the post applied for should be specifically mentioned in bold letters. Candidates employed in Govt./Public Sector Undertakings should submit application through proper channel. Travelling expenses will be admissible for SC/ST candidates for attending written test as per rule.